"Here was something new and different … I had seen nothing more vital and essentially ‘modern’ in the best sense of the word than the reproductions shown". 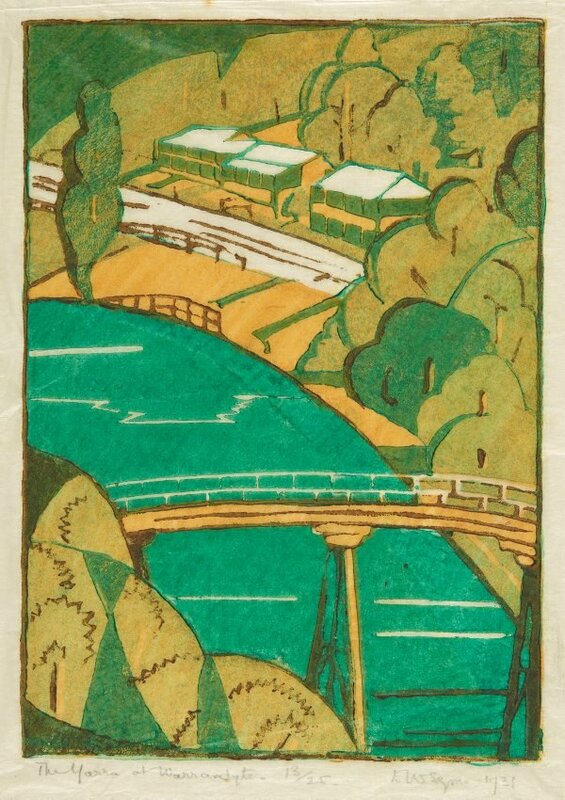 This image shows the influence of Japanese woodblock prints, in its compositional flatness and high viewpoint. Arthur Streeton, reviewing an exhibtion that indluded this work, said of it: “Eveline Syme shows a charmingly cool harmony of colour …’The Yarra at Warrandyte’…” (The Argus, 5 April 1932, pg.9). Signed and dated l.r.below image, pencil "EW Syme 1931".